Victoria-based Marand Precision Engineering has reached a milestone in its support of the global F-35 Joint Strike Fighter program. 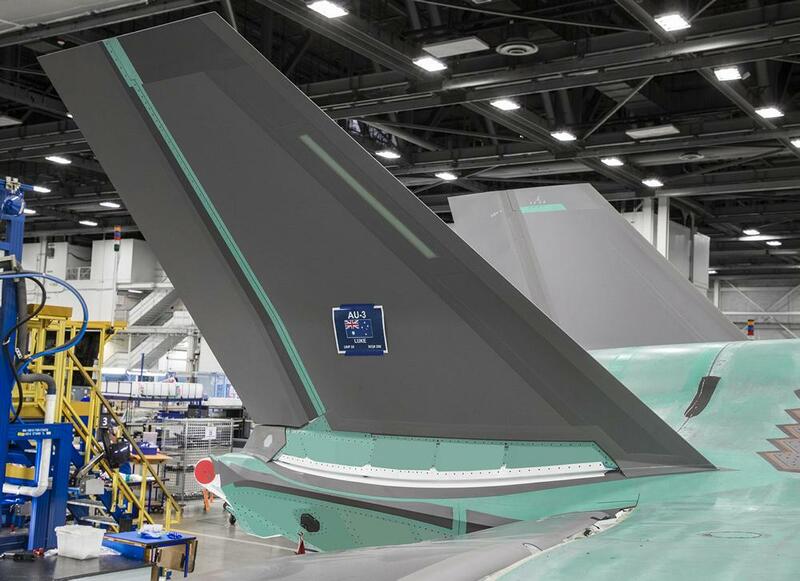 Marand, which has been involved in the F-35 Program since 2002, is now an established supplier of F-35 vertical tails, with Australian-produced tails on the aircraft of several program partner nations, including Australia. “Through its partnership with BAE Systems PLC, and with the support of its Australian and European supply chain, Marand has delivered its 50 conventional take-off and landing vertical tails all to schedule and without a single customer quality issue,” Defence Industry Minister Christopher Pyne said. Marand's industry partner, BAE Systems Australia also welcomed Minister Pyne’s recognition of the completion of the 50th F-35 vertical tail by Marand Precision Engineering and announced that it had achieved peak production rate of machining titanium parts for the program at its Edinburgh Parks facility in South Australia. "We work closely with Marand on this and other projects and congratulate the team on achieving this milestone. 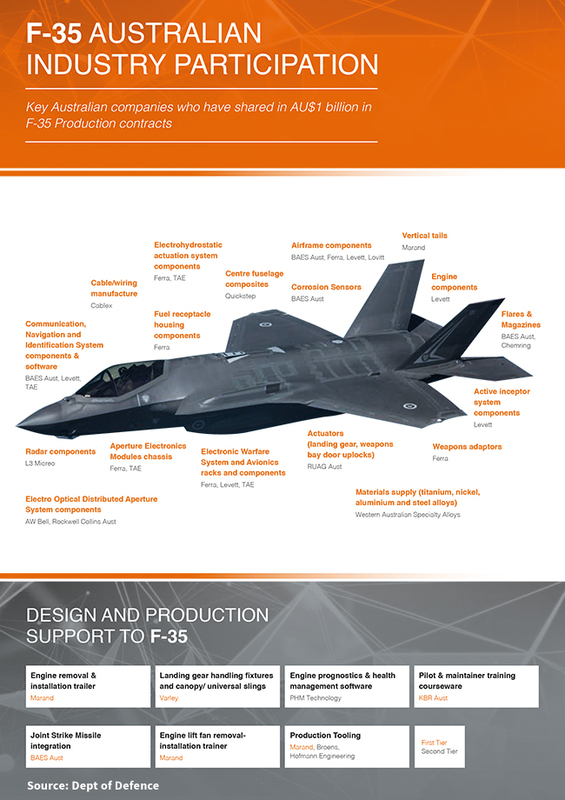 Our involvement in supplying parts for the next generation F-35 has provided the catalyst for a significant investment that has enabled us to expand a bespoke advanced manufacturing capability," said BAE Systems Chief Executive Gabby Costigan. Costigan expanded further, "The expanded machining facility and our highly skilled Australian workforce will help us to secure new opportunities in defence or commercial sectors. It has also provided significant opportunities within our Australian supply chain as we will be supplying parts into this program for the next two decades." Minister Pyne said, “In what was a major milestone for the Australian F-35A Project, an Australian-made vertical tail – produced by Marand – was fitted to Australia’s third F-35A aircraft as it neared completion at Lockheed Martin’s production facility in Fort Worth, Texas, in August 2017." The F-35 Program is about more than just the delivery of a new fighter capability for the Air Force. Australian industry involvement in the program provides a platform for engagement with major international defence and aerospace companies and opportunities for participation in the development of new and emerging technologies. This engagement and participation will ensure that there is knowledge and skill transfer to Australian companies, building resilience and strengthening Australia’s economy, in line with the government's objective of developing sovereign capability. Developing this capability goes beyond manufacturing components, as RAAF Williamtown has been selected as regional air frame repair depot. Andy Doyle, F-35 program manager at RAAF Williamtown, said, "Australian industry has also been successful in picking up regional airframe repairs at the BAE facility at Williamtown, which will become the airframe repair depot for F-35, so that will be on behalf of Australia's F-35 with the potential for regional work." Australia is spending about $17 billion to buy 72 fighters of the F-35A variant, with the aircraft due to reach initial operating capability by December 2020. Australia’s first six F-35As are currently operating at the international Pilot Training Centre at Luke Air Force Base in Arizona, with four more aircraft expected to be delivered by the end of this year. Two of Australia’s F-35A aircraft are scheduled to arrive for permanent basing at RAAF Base Williamtown near Newcastle, NSW in December this year.